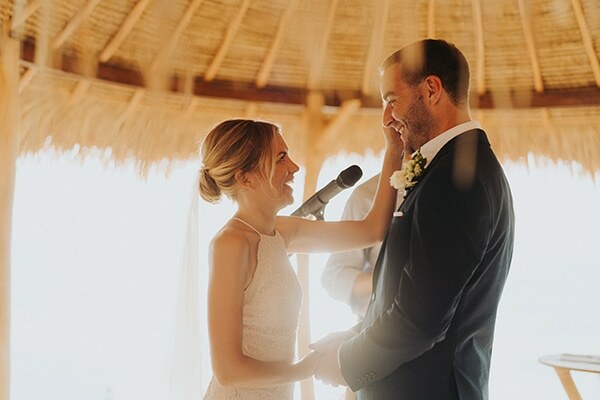 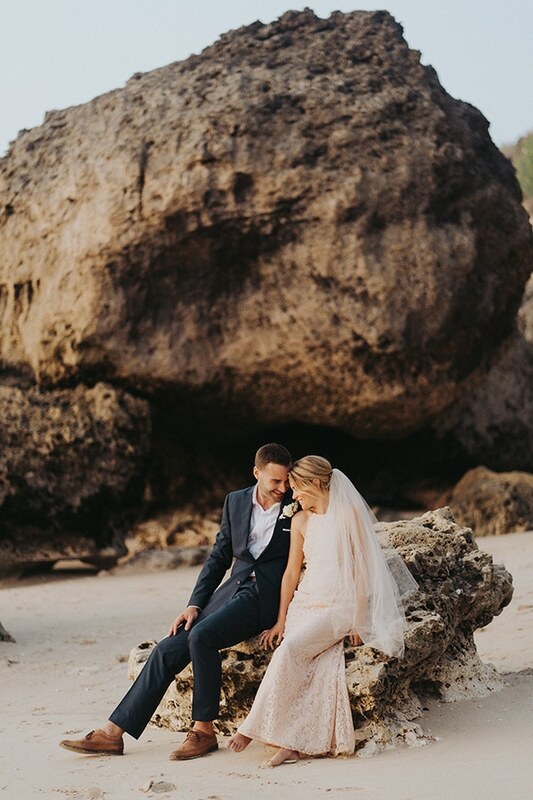 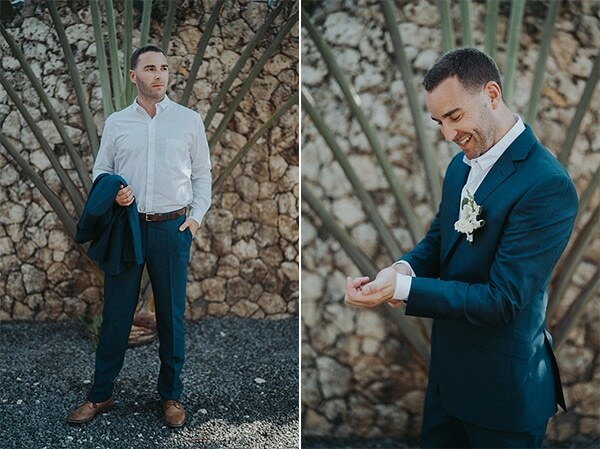 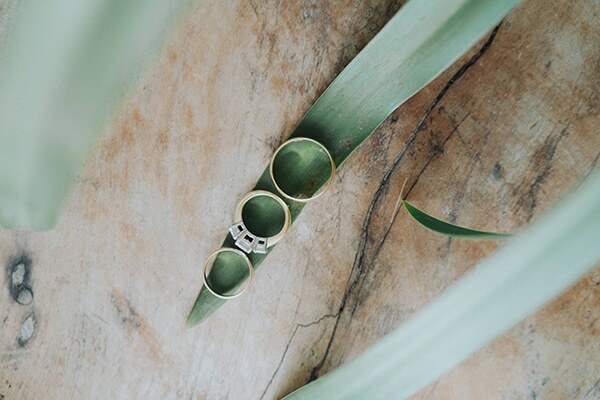 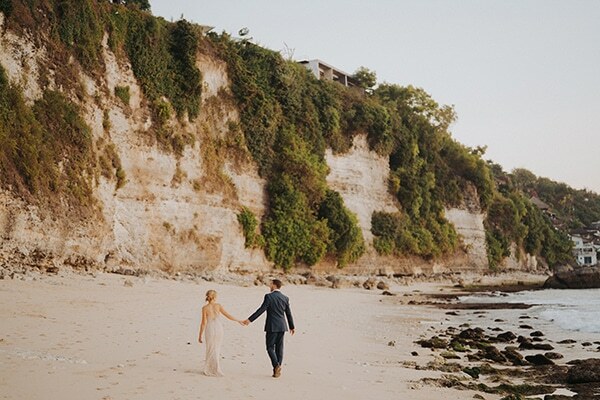 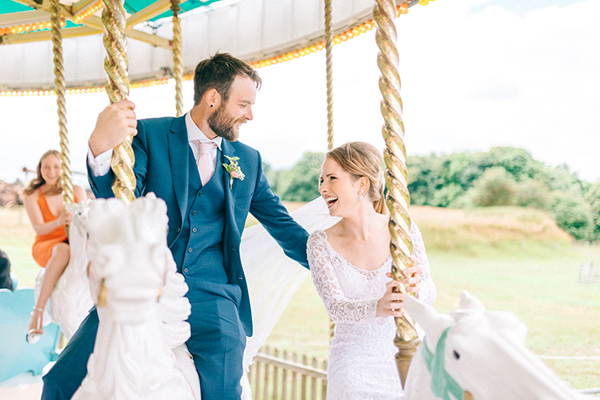 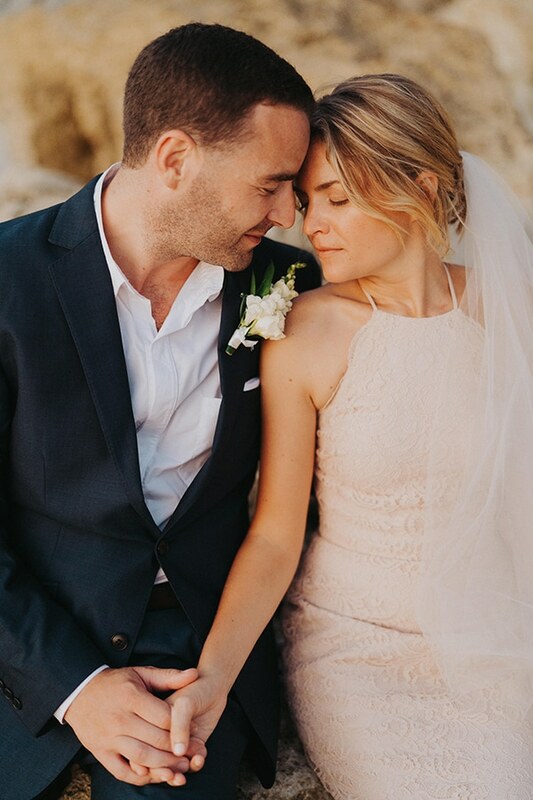 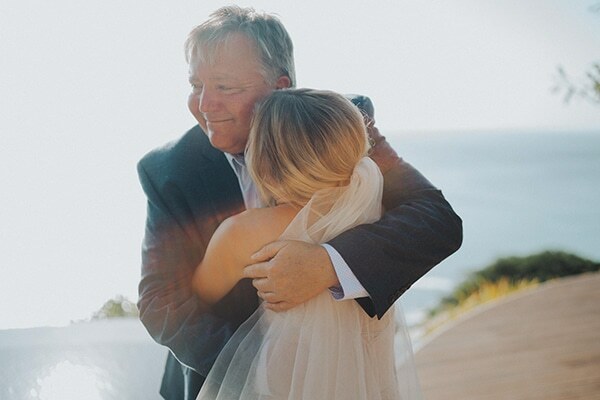 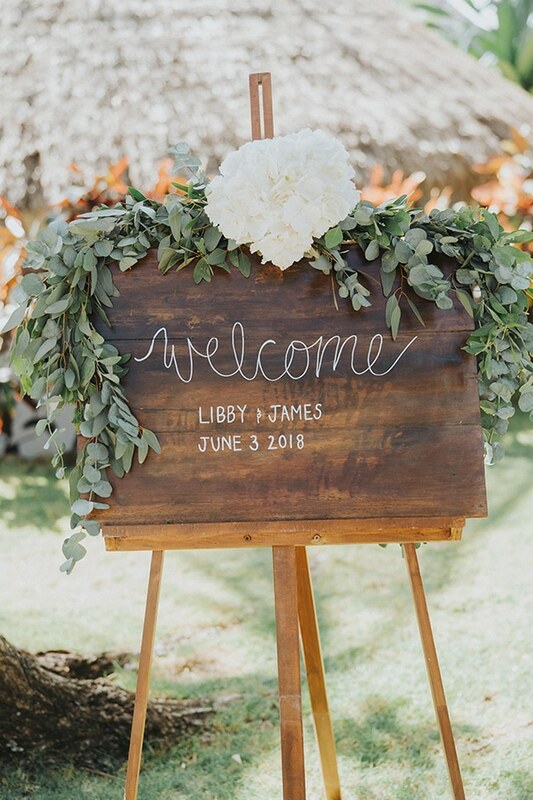 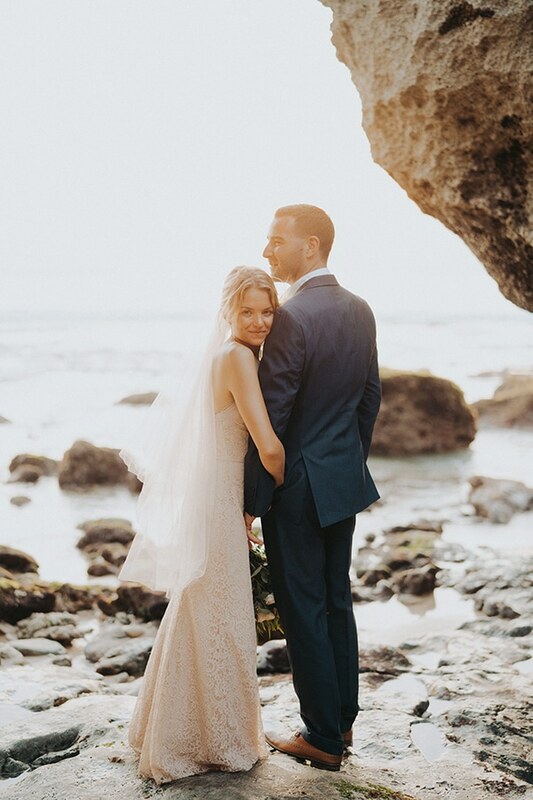 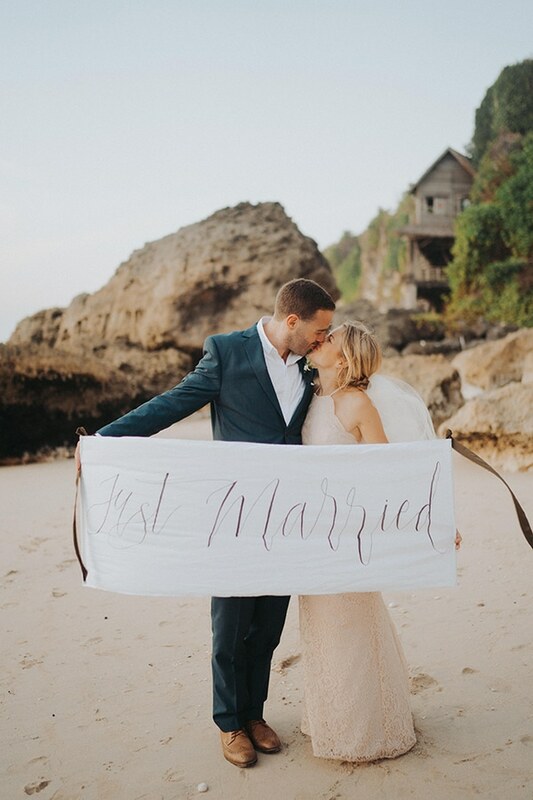 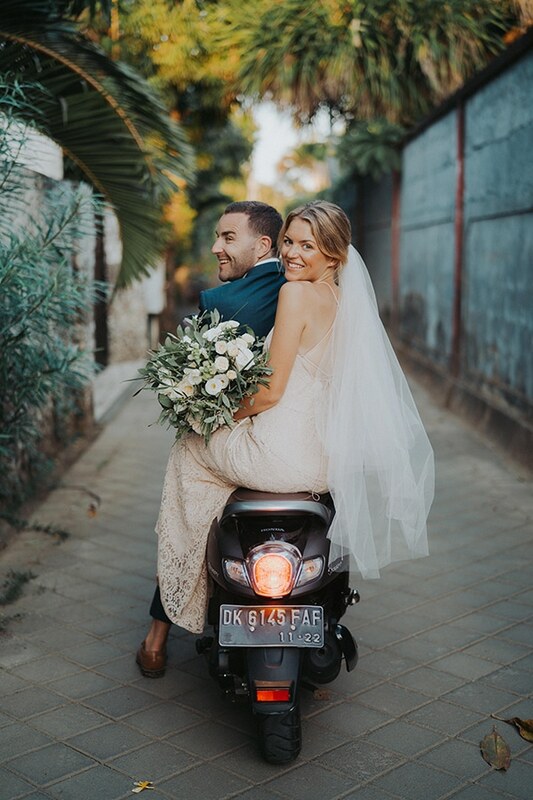 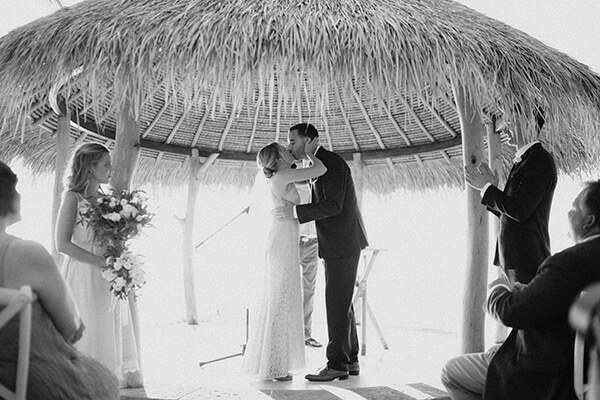 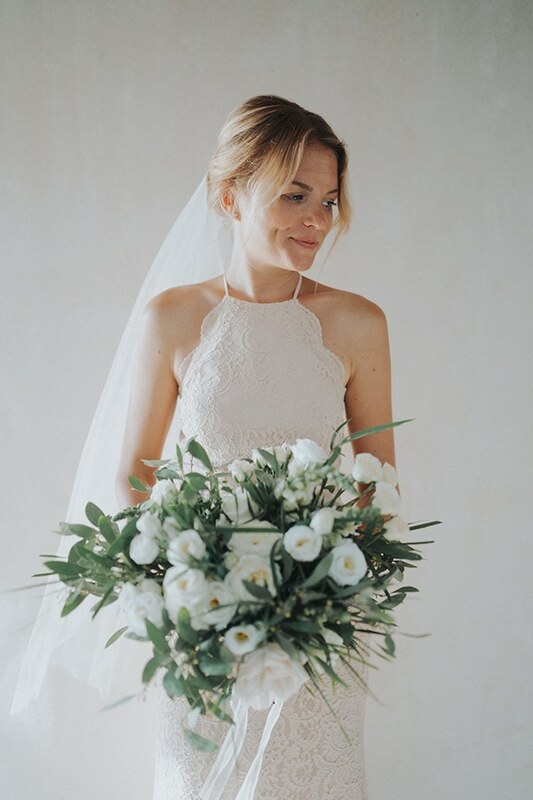 Libby and James chose their wedding to be held in Bali, the place that call home now. 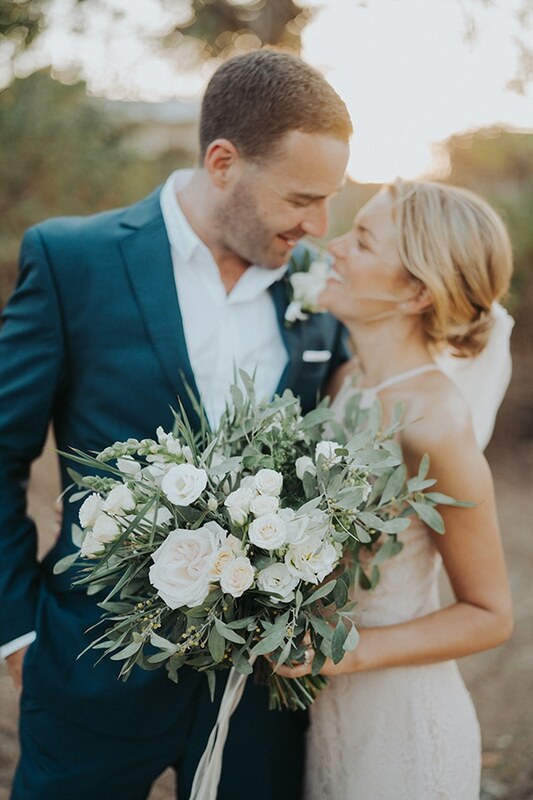 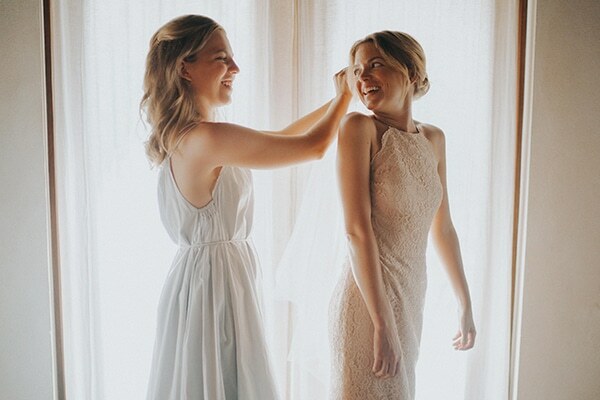 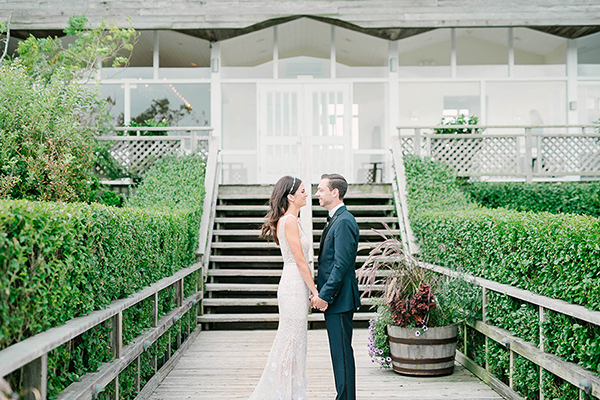 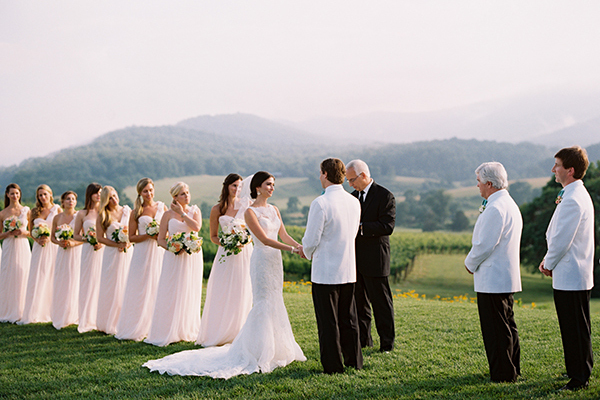 Their wedding was simply dreamy. 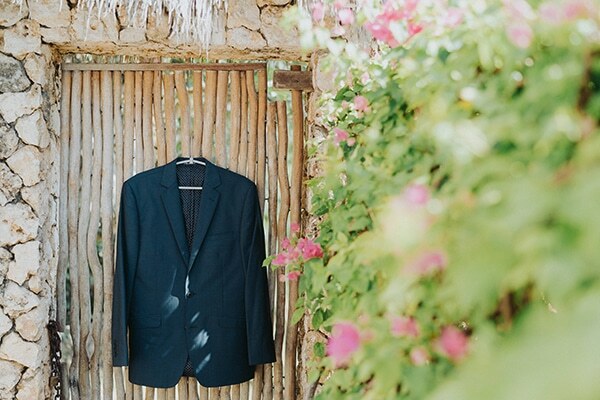 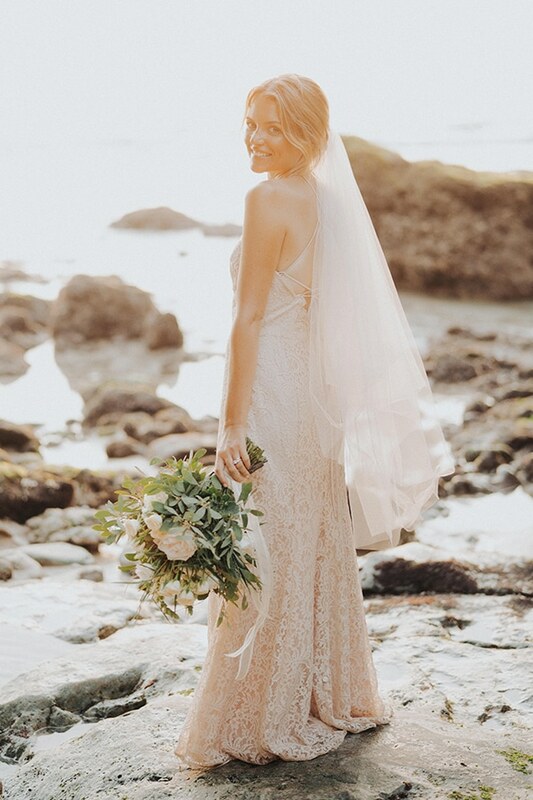 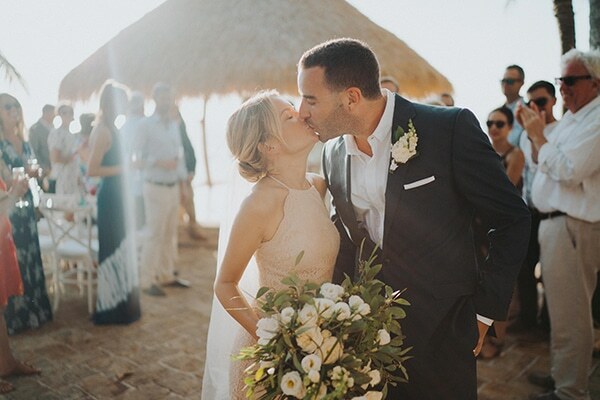 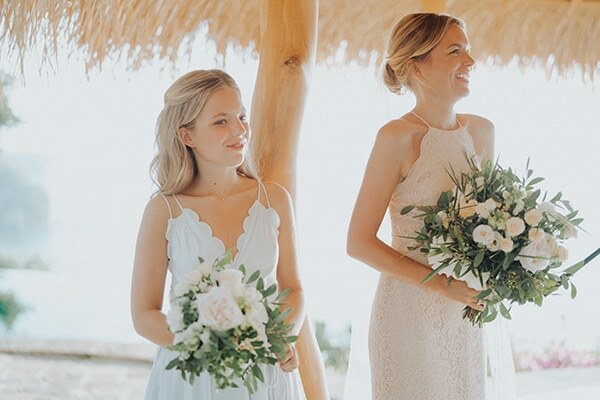 Overlooking the Mediterranean, a simple wooden shelter played host to a ceremony that was filled with romantic, natural elements. 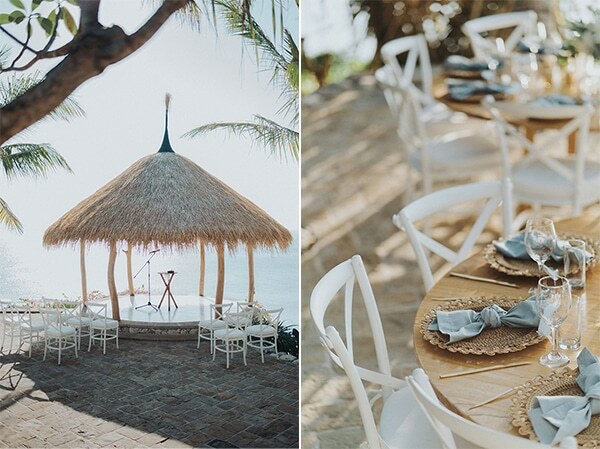 Wooden tables with white chairs, crystal glasses and golden touches adorned the place gorgeously. 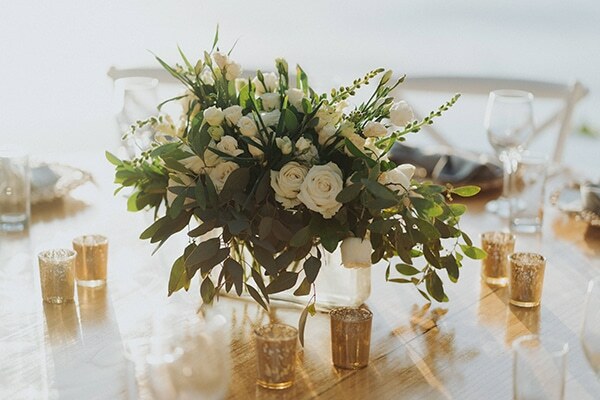 Some small candles and rich centerpieces of white, fresh flowers added the essential touch of vividness. 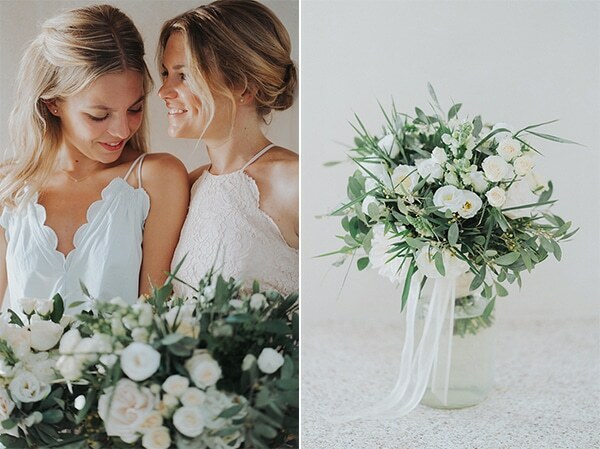 Get lost in this soft, natural beauty through the following images by Bonjo Abadi of Terralogical!